We have three big pine trees in our yard. Every time the wind blows here in the spring, down come the pine cones, scattering all over our grass. What does one do with all of them? Pinterest has 101 ways to use them for decorations. 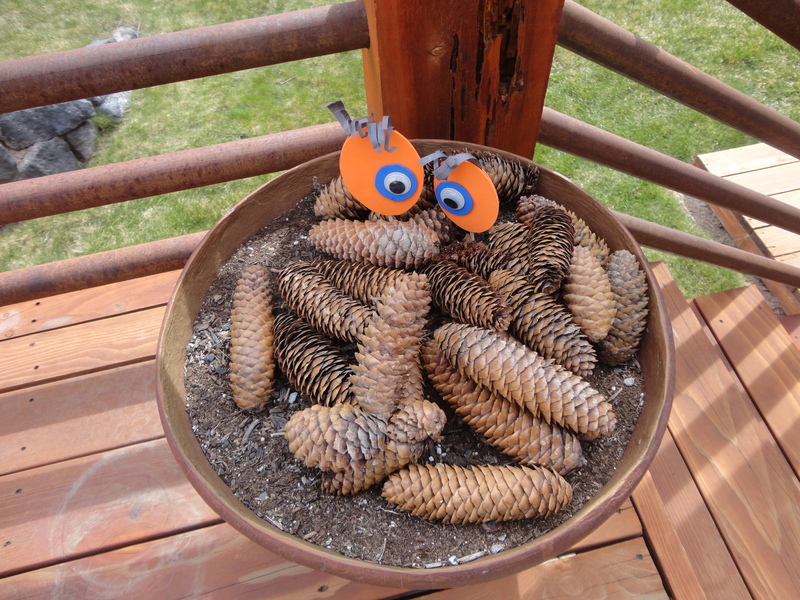 A very clever – top 10 things to do with pine cones. Tammy puts to good use the pine cones in her yard. This entry was posted in yard work and tagged Idaho wind, pine cones, pine trees. Bookmark the permalink.